Leo, if you are reading this, I’m dead. A con artist and seductress, Meredith Spooner lived fast — and died young. Now it seems Meredith’s last scam — embezzling more than a million dollars from a college endowment fund—is coming back to haunt Leonora Hutton. An e-mail has just arrived in which Meredith—in fear for her life—explains that the money is waiting for Leonora in an offshore account…and a safe-deposit key is on the way. Leonora wants nothing to do with the tainted money. 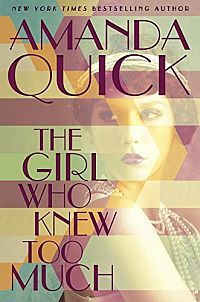 She’s already been accused of being in on the theft by Thomas Walker—who, it seems, was a victim of Meredith’s knack for both scams and seductions. Eager to prove him wrong, Leonora sets out to collect the cash and hand it over. But she discovers two other items in the safe-deposit box. 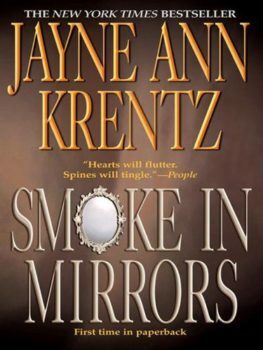 One is a book about Mirror House—a mansion filled with antique mirrors, where Meredith engineered her final deception. The other is a set of newspaper stories about a thirty-year-old murder that occurred there—unsolved to this day. Now Leonora has an offer for Thomas Walker. She’ll hand over the money—if he helps her figure out what’s happening. Meredith had described Thomas Walker as “a man you can trust.” But in a funhouse-mirror world of illusion and distortion, Leonora may be out of her league.